Science is exciting! 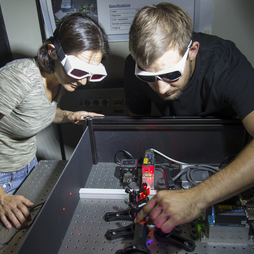 These pages keep you up to date on what is happening at the Physics Department: scientists report on research and campus life. 2018-09-19 – It provides the basis for solar energy and global communications: the photoelectric effect. Albert Einstein described it over a century ago. 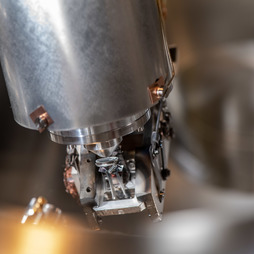 For the first time, scientists from the Technical University of Munich (TUM), the Max-Planck Institute of Quantum Optics (MPQ), and the TU Wien have now measured the absolute duration of the light absorption and of the resulting photoelectron which is released from a solid body. 2018-09-14 – The TEDx conference stands for short presentations that are attended online by millions of people worldwide. Since 2014, this format is also offered at the Technical University of Munich (TUM). 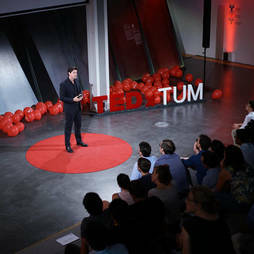 TedxTUM is organized on a voluntary basis by students. The first presentations of this year’s event on “Tiny Superpowers” on 24 July are now available online. One of them is by Prof. Hendrik Dietz from our Physics Department. 2018-09-04 – Die Technische Universität München (TUM) und das Helmholtz-Zentrum Jülich erweitern zusammen die Forschungskapazitäten der weltweit vielseitigsten Neutronen-Quelle FRM II in Garching. Als gemeinsames Heinz Maier-Leibnitz Zentrum (MLZ) errichten sie zwei Erweiterungsbauten mit insgesamt 4550 Quadratmetern Nutzfläche für Labors, Büros und Werkstätten, für das jetzt Richtfest gefeiert wurde. 2018-08-31 – The new instrument KOMPASS was born on May 29, 2018, at exactly 15:16h. 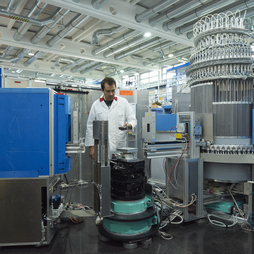 At that time, it detected the first neutrons, which were scattered from a sample. It has been developed and constructed as a collaboration between the Chairs of Prof. Markus Braden at University of Cologne and Prof. Peter Böni at Technical University of Munich. 2018-08-16 – Peter Ring, Professor emeritus at the Physics Department of Technical University of Munich (TUM) has been awarded with an outstanding international physics prize in the field of nuclear physics. 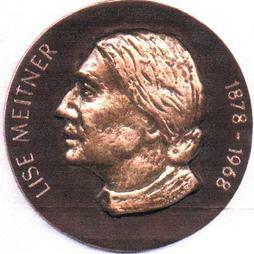 He and Peter Schuck from Grenoble jointly get the 2018 “Lise Meitner Prize for Nuclear Science” of the European Physical Society (EPS). 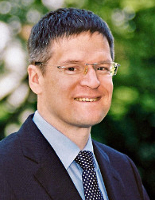 2018-08-09 – Karl Duderstadt, Professor at the Physics Department through the “MaxPlanck@TUM” program recieves funding from the European Research Council (ERC). This year he is already the fourth member of the Physics Department at Technical University of Munich (TUM) to obtain an ERC grant. “MaxPlanck@TUM” is a program for young professors run by the Max Planck Society and TUM. 2018-07-12 – For the first time ever, scientists have determined the cosmic origin of highest-energy neutrinos. A research group led by IceCube scientist Elisa Resconi, spokesperson of the Collaborative Research Center SFB1258 at the Technical University of Munich (TUM), provides an important piece of evidence that the particles detected by the IceCube neutrino telescope at the South Pole originate from a galaxy four billion light-years away from Earth. 2018-07-11 – For the first time a team of researchers have discovered two different phases of magnetic skyrmions in a single material. Physicists of the Technical Universities of Munich and Dresden and the University of Cologne can now better study and understand the properties of these magnetic structures, which are important for both basic research and applications. 2018-07-05 – Most people have never heard of them, and yet every living being needs them to survive: fine protrusions of cells known as cilia. They allow sperm to move, form fine protective hairs in the lungs and play a crucial role in the differentiation of organs in embryos. 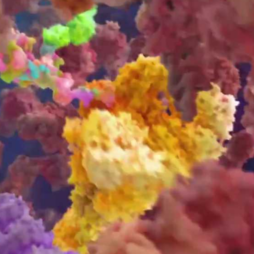 A research team at the Technical University of Munich (TUM) has now reconstructed the protein complex responsible for transport within cilia, which plays a decisive role in their functioning. 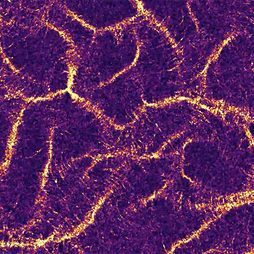 2018-07-02 – Munich physicists have discovered unique patterning phenomena in systems whose parts move actively. Despite identical initial conditions, two different states can coexist and dynamically interconvert. 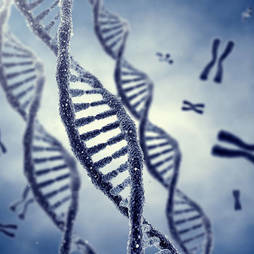 Their findings provide new insights into the variety of biological processes. 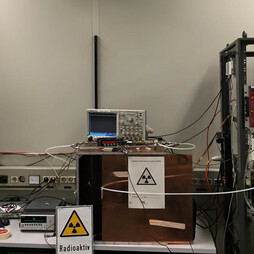 2018-06-28 – Ultra-short, high-intensity X-ray flashes open the door to the foundations of chemical reactions. Free-electron lasers generate these kinds of pulses, but there is a catch: the pulses vary in duration and energy. 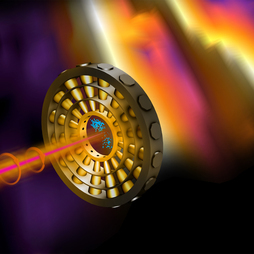 An international research team has now presented a solution: Using a ring of 16 detectors and a circularly polarized laser beam, they can determine both factors with attosecond accuracy. 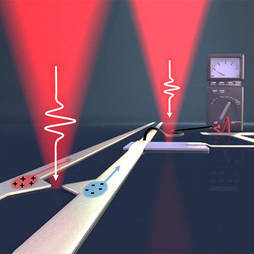 2018-06-26 – A team headed by the TUM physicists Alexander Holleitner and Reinhard Kienberger has succeeded for the first time in generating ultrashort electric pulses on a chip using metal antennas only a few nanometers in size, then running the signals a few millimeters above the surface and reading them in again a controlled manner. The technology enables the development of new, powerful terahertz components. 2018-06-18 – From 18 to 22 June, international experts on gaseous ionizing particle detectors gather at TUM in Garching for the RD51 Collaboration Meeting. Prof. Laura Fabbietti and Dr. Piotr Gasik from the Physics Department organize the conference at TUM’s Institute for Advanced Study. About 70 leading experts from 15 countries around the globe join the meeting. 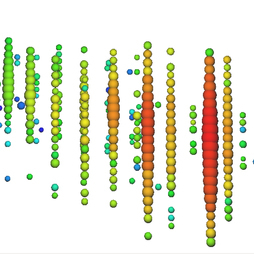 2018-06-11 – How heavy are neutrinos? This seemingly trivial question is one of the most important problems in modern particle physics and cosmology. 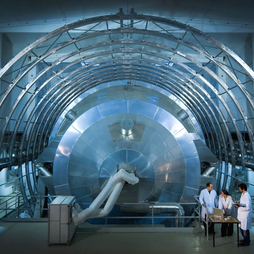 The Karlsruhe Tritium Neutrino Experiment KATRIN, which began on June 11, 2018, aims to answer this question: it is the end result of 15 years of construction at the Karlsruhe Institute of Technology (KIT). The Physics Department of Technical University of Munich is also represented in the international research network that launched the project. 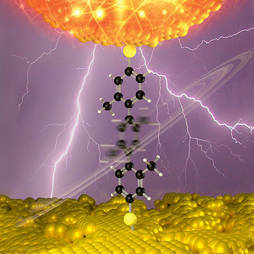 2018-05-24 – A research team led by physicists at the Technical University of Munich (TUM) has developed molecular nanoswitches that can be toggled between two structurally different states using an applied voltage. They can serve as the basis for a pioneering class of devices that could replace silicon-based components with organic molecules. 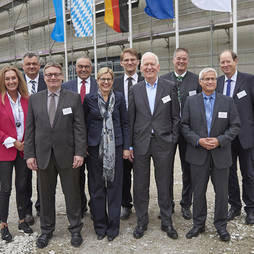 2018-05-18 – Die Deutsche Forschungsgemeinschaft (DFG) richtet einen neuen gemeinsamen Sonderforschungsbereich / Transregio mit Beteiligung von Ludwig-Maximilians-Universität München (LMU) und Technischer Universität München (TUM) ein.